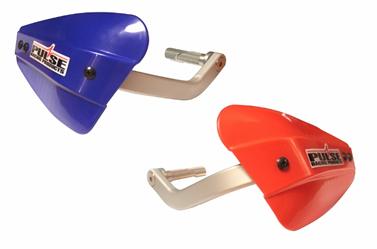 These trick handguards fit straight into the bar end so you gain much needed space for you controls and cables, there is no second attachment point on the bars. This hand guard encloses your hand fully with its high strength alloy bracket arm, and it's generous but proportioned guard sit's exactly where you want it to. AVAILABLE IN MANY POPULAR COLOURS. 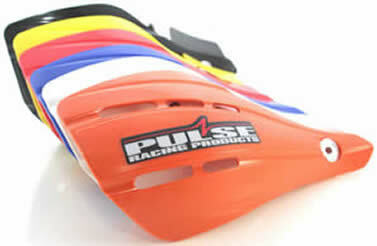 These handguards are lightweight but built tough. They come complete with a billet mounting bracket and can take anything that comes their way, be it branches, rocks or other riders! Beautifully made these billet caps are a cut above the rest. 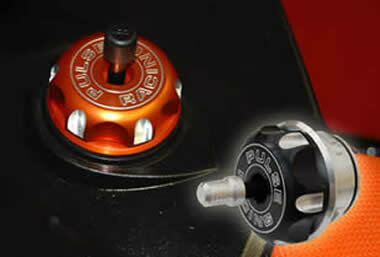 They will add a touch of class to your ATV and are available for most popular models in Black, Blue, Red or Silver. You don't need us to tell you how annoying it is to have your kill switch knocked out by debris. This protector will put an end to all that so you can concentrate on winning the race. 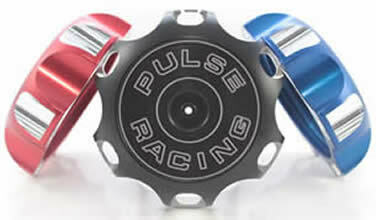 The Pulse KTM fuel adaptor enables a normal threaded Fuel cap to fit on your quarter turn quick release tank. The advantage of this part is that it eliminates the chance of the Fuel cap detaching itself from the bike potentially leading to the risk of fuel spillage. Please note this product is fitted as a permanent feature of the bike and cannot be removed once installed.